Foundation Medicine Announces Executive Leadership Transition | Foundation Medicine, Inc. Proven biopharma executive and commercial leader, Troy Cox, named as chief executive officer to succeed Michael Pellini, M.D. CAMBRIDGE, Mass.--(BUSINESS WIRE)-- Foundation Medicine, Inc. (NASDAQ:FMI) today announced that, as part of the succession of its executive leadership, the Board of Directors has appointed Troy Cox, a highly regarded global biopharma leader, as chief executive officer to succeed Michael Pellini, M.D. Dr. Pellini, who has served as chief executive officer of the company since 2011, has been appointed chairman of the company's Board of Directors. Alexis Borisy, founding chief executive officer and current chairman of the board for Foundation Medicine, will continue to serve on the Board of Directors. Mr. Cox will also join the Board of Directors. All of these changes will become effective by February 6, 2017. 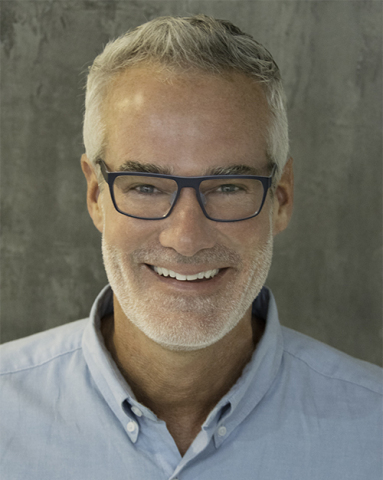 Dr. Pellini commented, "On behalf of Foundation Medicine's Board of Directors, we're delighted to welcome Troy to the Foundation Medicine team, and we look forward to his leadership of the company through this next, important phase of growth and progress across our molecular information portfolio. In the coming years, Foundation Medicine will face a series of key catalysts for company growth, and Troy's strategic, commercial and organizational acumen will be particularly critical as we proceed through the FDA's parallel review process and, if approved, prepare for the launch of the first FDA-approved universal companion diagnostic assay for cancer. My decision to change roles at Foundation Medicine has been made easier by the presence of an experienced senior management team, and our ability to attract Troy, who has a proven track record of achievement, to Foundation Medicine. I look forward to collaborating with Troy and the senior management team in transitioning the chief executive officer role, as we jointly work towards the achievement of the company's objectives and its overall mission to transform cancer care." Mr. Cox brings nearly three decades of proven performance in global, strategic, and operational biopharma leadership and expertise to Foundation Medicine. He's led or contributed to dozens of successful product launches in the U.S. and abroad. Mr. Cox joins Foundation Medicine from Roche-Genentech, where he's led one of the largest oncology portfolios in the U.S., with more than 1,400 people delivering unprecedented growth. Before joining Genentech, Mr. Cox held global P&L business unit responsibility within UCB BioPharma, with responsibility for developing and commercializing medicines that serve patients across diverse specialty therapy areas. During his tenure at UCB BioPharma, Mr. Cox shaped corporate strategy, led M&A initiatives and implemented commercial strategies that accelerated the business unit's growth and profitability. Prior to UCB BioPharma, Mr. Cox led a large U.S. primary care business unit for Sanofi-Aventis. His diverse experience includes senior roles in European country general management, U.S. managed care sales leadership, and U.S. marketing with Schering-Plough. Mr. Cox received a bachelor's degree in business administration in finance from the University of Kentucky, as well as a master's of business administration from the University of Missouri. He currently serves on the Board of Directors of the Dream Foundation, the only national non-profit organization serving terminally-ill adults and their families by providing end-of-life dreams that offer inspiration, comfort and closure. Troy has also been a long-term supporter and advisor to the Healthcare Businesswomen's Association (HBA). Mr. Borisy commented, "Mike's dedication, and his numerous contributions to Foundation Medicine, its employees, investors, partners and patients, are unmistakable. The past six years have constituted the transformation of the company from its pre-commercial phase to a growing enterprise with global operations, more than 500 employees, and a fully integrated suite of molecular information products. Mike has positioned Foundation Medicine as a market leader in comprehensive genomic profiling, which we believe is now broadly recognized as a critical element in the oncology ecosystem. Mike will continue to play an important role as Board Chairman as the leadership of Foundation Medicine transitions to Troy's capable hands." This press release contains "forward-looking statements" within the meaning of the Private Securities Litigation Reform Act of 1995, including, but not limited to, statements regarding the transition of leadership at Foundation Medicine; potential catalysts for growth by Foundation Medicine (including the potential approval and launch of the first FDA-approved universal companion diagnostic assay for cancer) and Mr. Cox's abilities to facilitate the company's achievement of these catalysts; the continuing roles of Dr. Pellini and Mr. Borisy at the company; the appointment of Mr. Cox as chief executive officer and director; and the ability of the company to achieve its business objectives. All such forward-looking statements are based on management's current expectations of future events and are subject to a number of risks and uncertainties that could cause actual results to differ materially and adversely from those set forth in or implied by such forward-looking statements. These risks and uncertainties include the risks that the executive and Board transitions as announced are not completed as planned; the catalysts for growth do not occur, are delayed or occur in manner not currently anticipated; Mr. Cox is not able to facilitate achievement of these catalysts effectively; and the risks described under the caption "Risk Factors" in Foundation Medicine's Annual Report on Form 10-K for the year ended December 31, 2015, which is on file with the Securities and Exchange Commission, as well as other risks detailed in Foundation Medicine's subsequent filings with the Securities and Exchange Commission. All information in this press release is as of the date of the release, and Foundation Medicine undertakes no duty to update this information unless required by law.